Children will recount their experiences of living in Baroque times as Perth Chamber Orchestra (PCO) and MSWA present their most acclaimed concert to date: “Baroque by Candlelight” as part of the Perth Winter Arts Festival at St George’s Cathedral on Wed, 23rd August at 6pm. Known for their musical and dramatic surprises, this PCO concert will be no different from the high standards already presented, offering patrons an unforgettable ‘all immersive’ evening, engaging all the senses and transporting the audience back in time. From wholesome medieval-inspired food and mulled wine to warm the body to Aidan Deasy on the lute, this is just the entrée for a feast of baroque music set to warm the heart in the candle-lit Cathedral. Intended to offer a unique musical, spiritual and historical experience, the concert will be under the artistic direction of Jessica Gethin, the leadership of virtuoso violinist, Paul Wright, with soprano Prudence Saunders, and solos from Kathy Potter (viola) and Jenny Coleman (trumpet). said Bourby Webster, Founder, Executive Director and visionary behind these conceptual concerts. “I want the audience to experience the music from a different perspective. For example, Vivaldi mainly wrote for a female orphanage run by nuns. It is believed that the orphans’ mothers included women from the Venetian opera chorus, and their fathers wealthy concert-goers! Many of those baby girls turned out to be very gifted musicians when they grew up! 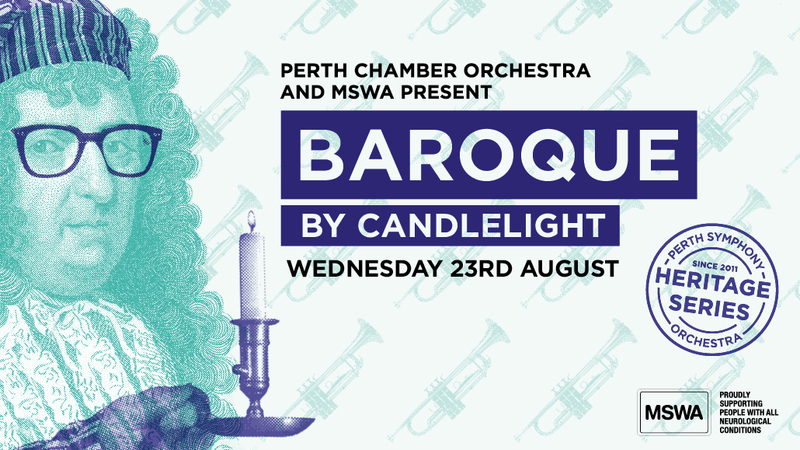 ‘Baroque by Candlelight’ is co-presented by MSWA, and supported by concert partners; Hewshott International, City of Perth and Chilli Finance, and event partners Barton Jones Wines and Academy Cafe. This event is proudly part of the Perth Winter Arts Festival.